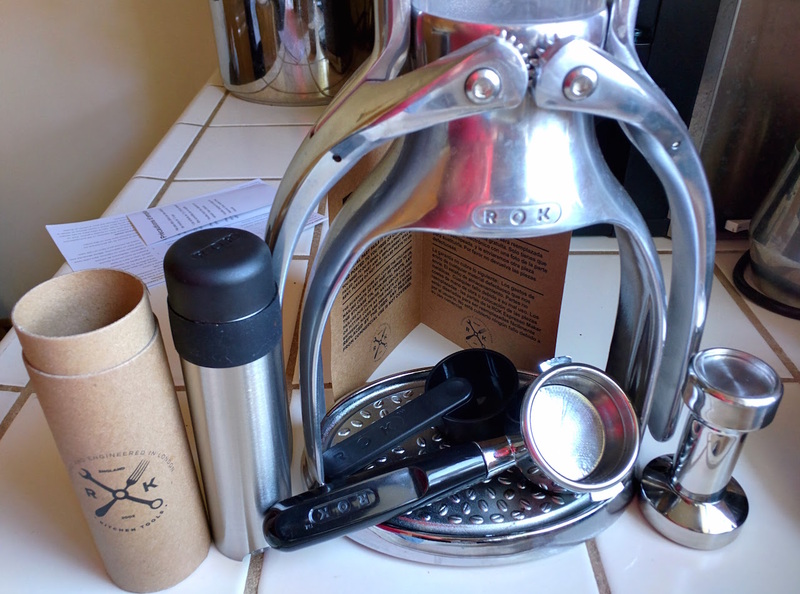 I had been getting by with pour-over, but was getting a bit anxious to be able to pull real espresso at home again. 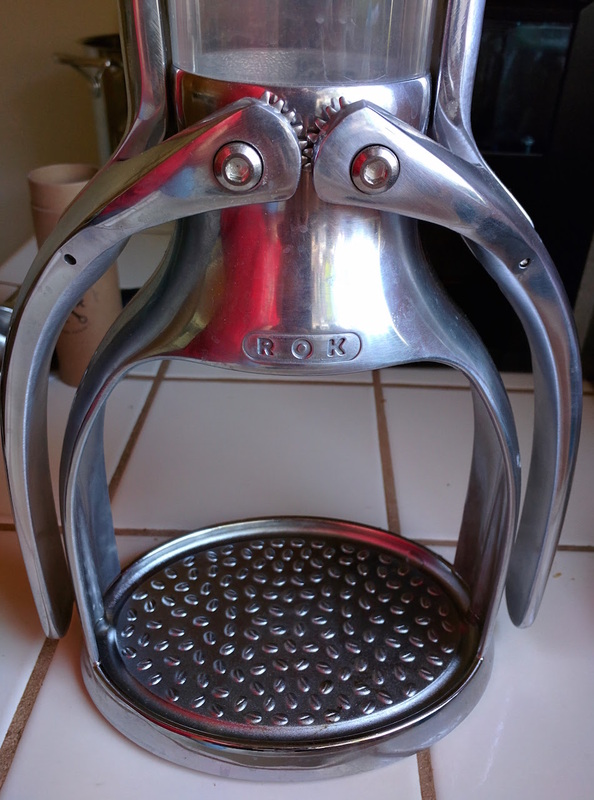 I had seen the ROK machine around the internet before and thought that it was a pretty interesting machine. It is completely manual, meaning that you heat the water separately, and you supply the pressure to push the water through with the levers. 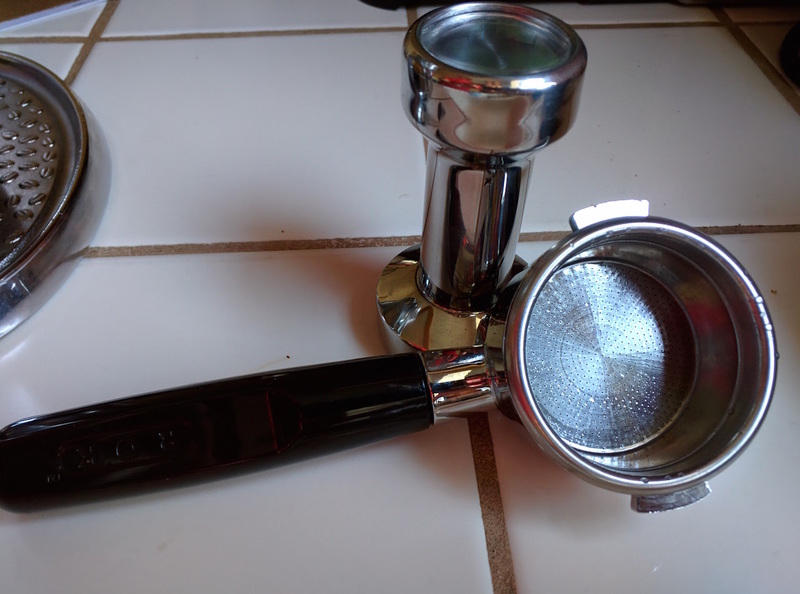 I’ve had an interest in more manual espresso extraction, where I would be able to have lots of latitude to dial things in, and get the perfect shots, just the way that I wanted them. Since the ROK was not terribly expensive, I decided to give it a try, with the understanding that it was basically a stand-in for a real machine, that I would be buying down the road. For the last six months, with the exception of a month-long trip to the East Coast, I have pulled shots on this machine daily. I was able to get extractions similar to what was shown in the video pretty consistently, but this is about the limit, no ristretto shots here. There is also a hard limit on the amount of force that you can exert while pulling the shot, since the press parts in the top are made of plastic, and might break if you push too hard on them. If you’re somehow still interested in a ROK, mine is currently up for sale on eBay. I’ve had this for 6 months or so, and it’s in great condition. 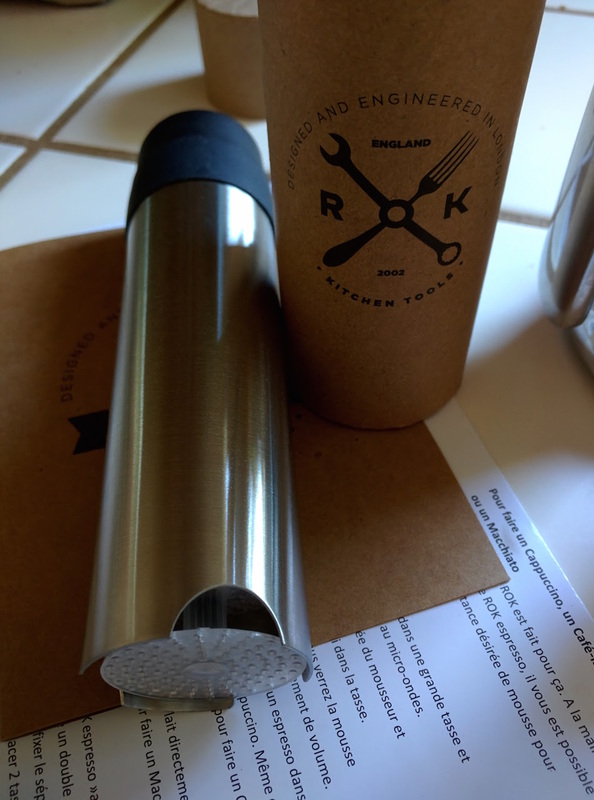 I am also including a stainless steel tamper that fits the portafilter properly. I’m selling this because I’m upgrading to a high end machine, and don’t have a use for this anymore. The milk frother has never been used. It’s interesting to use a totally manual machine, and I’m glad that I had the opportunity to try it out for a while.